Get ready to experience a truly immersive and a fun gaming experience that will take you to Italy where you can enjoy every little aspect of this beautiful European country. This includes the food, the art the statues and of course, the great rewards that Italy has in store for players. You will be able to enjoy this ride right here for free by placing endless bets with demo credits. This gives you the chance to get to enjoy the game for fun. Players can check it out, its pays and its features before placing real money best at any of our recommended casinos that host 1×2 Gaming slot machines. Mamma Mia is a 5 reeled 1×2 Gaming powered slot machine that hosts a total of twenty five lines that players will be able to place wagers on by going through the wagering options of the slot machine. The control panel is located under the reels and it contains all of the different buttons that players will use to control the game play. These buttons include the spin button, the auto bet function, max bet, win lines, the paytable and of course, the game’s betting options. Players will select how many lines, how many coins as well as the value of the used coins to place their wanted wager. As for the theme of the game, it takes players on a great ride into Italy where they can meet new people and enjoy all what Italy has to offer. This is why the symbols that will appear on the game’s spinning reels and lines include Art statues, a wild Italian red sports car, an Italian lady, an Italian artist and a motorcycle. 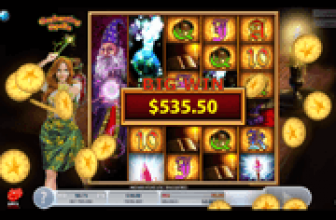 These symbols can give players plenty of great pays, depending on the number of matched icons; the icon itself and the bet that they have placed prior to spinning the reels of the game. 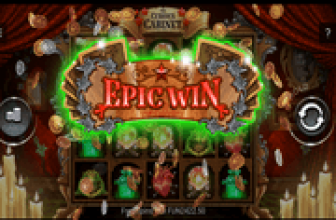 It would not be a 1×2 Gaming powered slot without offering a great set of special icons and feature that players can take advantage of during the game play. They can all be viewed at the paytable. These symbols start with the wild icon, which is none other than the red sports car that can substitute for all other icons on the game’s lines to help players get a reward. There is also the scatter bonus icon that can give scattered rewards. It is none other than the Italian Artist. This symbol can also trigger the free spins round whenever a minimum of 3 icons land on the reels. 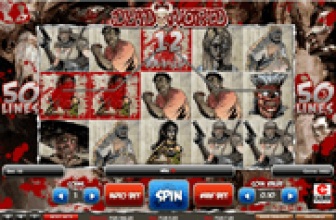 Players can earn up to a total of 15 free spins. To make things short, Mamma Mia Slot is a game that is certainly worth trying. Travel to Italy for a chance to enjoy a wonderful experience with none other than this 1x2 Gaming powered slot machine that is conveniently called Mamma Mia.